dsmith wrote: I live in Ayr, that track is my favourite place for 4x4ing and taking the dirt bikes. Just be careful of the salt water crocs that inhabit the river all the way up to the base of the Burdekin dam. Don't swim in the river and watch how close you camp to the water! Thanks for adding that.. we were aware but didn't see any on our visit..
Mighty80 wrote: Nice photo's Guss, and looks like you had a ball. This is where I grew up before I moved to Brissy and we used to go there all the time with the cruisers and bikes. Good times. There are 3 weirs from memory below the Main Burdekin Dam (The dalbeg weir which is in Guss's photo, The clare weir a bit further down stream and the rocks weir halfway between clare and the service station on the highway. These were put in to service the sugar cane farmers so they could water their cane. Might have to go back up one day to have some fun. Yea it's a goody hey! One of my mates told me there did a trip to the Weir a few weeks back.......... As they pulled up there was a Nice Size Croc (Around the 4 meter Mark) sunning him self near the weir! We are looking at a camping trip there in a few weeks......... Bit more rain and it should be Very Interesting! gordo hzj75 wrote: One of my mates told me there did a trip to the Weir a few weeks back.......... As they pulled up there was a Nice Size Croc (Around the 4 meter Mark) sunning him self near the weir! Hope you enjoy it great place.. interesting is the word if it's wet.. hope you have a winch lol. I guess you'll be camping a little further back from the weir, (croc), hey! in fact most of the rivers in that area are infested with them, to name a few bad ones. 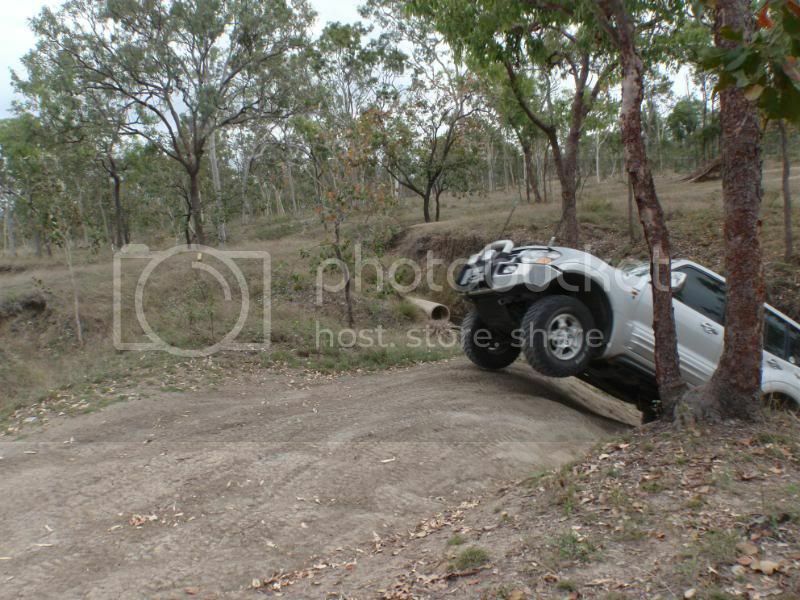 Hey bud get on www.4x4playfnq.com for forum trips! We went a few months ago. As always, just fantastic! The girls from our camp wandered up the creek and met the campers there, who were from Ayr. They were told that the Irwin's used to go croc catching here before the weirs were built. Such a shame as the river looked sooooo inviting. Here's a pic of where we camped. Loved the trip in there & I agree it would turn real nasty when wet.. Your pictures sure make me feel like packing the Paj & heading back up again boxy .. If only it was closer mate I'd be there in a flash.. Hope to be in the Ville next July for a couple weeks, on the way back from doing the Cape..